There are many different ways to get around in Bali. Of course, you can walk but Seminyak is not the best place to move about on foot…sidewalks are not yet built on all roads with dense traffic, places can be far apart and you have to remember that the temperatures are rarely lower than 30⁰C… “Hati Hati” (‘Be careful” in Indonesian), you don’t want to spoil your day at KUDETA with sunstroke! This is definitely the best way to get around! You will avoid most traffic jams (so you won’t miss the Sunset at POTATO HEAD) and the air conditioning comes free with every bike rental! Driving on scooters can be a little challenging at first but there is a lot of respect on the roads between cars and scooters. Forget all your normal driving rules, priorities on main road and roundabouts do not work like in the rest of the world! But don’t worry, after a couple of days you will get the hang of it, observe, follow the locals and go with the flow. 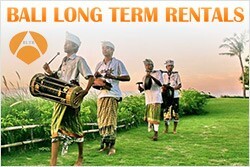 For luxury bike rental checkhttp://balibikerental.com/ (sanitized helmets, insurance, delivery, etc…) or you will find many local Scooter rental places everywhere. Prices are between 50 000rp and 70 000rp, depending on your bargaining skills.
! – There is 3 things you must do: always wear a helmet, make sure you have a travel insurance and carry an International driving license. Get it in your own country before coming to Bali or you can buy one for $25 from the Kerobokan Police Station (the bike renter will usually take you there and organize this for you to encourage you to rent a bike from him) but if you don’t have one and get pulled over by the police, expect to pay an on the spot fine of about $10 – less if you are good at negotiating! You can either rent a car and drive it or rent a car with a driver. Driving a car on your own in Bali is not the easiest, if you don’t know your way you can easily get stuck in traffic for hours or miss super trendy shops, funky bars and yummy restaurants because you can’t park…! You will usually pay around 500 000rp per full day. They will take you wherever you want and wait for you as long as needed so you can hop from your breakfast at Mr SPOON, to a lovely pampering at ALIYA, to lunch at WARUNG CANTINA, coffee at REVOLVER, sunbathe at PUTRA on Double 6 Beach, a massage at M2 SPA, sunset at W HOTEL, diner at METISand of course finish your dayby shaking your body (or someone else’s…) at JalanDyanaPura in the infamous GAY BARS. For an extra spicy ride, you can rent a car with lovely fit driver! Taxis are also a good way to move around. You will find some at every street corner and cheap. You should favor Blue Bird taxi, the cheapest and most reliable. Make sure they put the meter on when you get in the car. There is no legal minimum charge but you should always give a minimum of 30 000rp (3$). There aren’t many buses in Bali so don’t count on public transport! 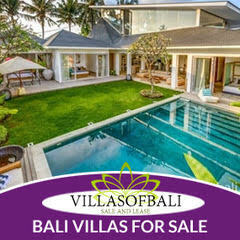 But there is one shuttle bus service connecting most tourist areas around Seminyak and Kuta. Clean, cheap but semi reliable for timing. For the more adventurous of you, and if you have an “Easy riders” side to yourself, you can spend the day on a big Harley Davidson or on a gorgeous Bali custom bike!